MerriweatherPost.PavilionColumbia.com is not affiliated with any official website or primary supplier. We are an independently owned and operated company that specializes in the online sales of secondary market inventory. Prices may be above or below face value, but always rest assured you are shopping a large selection and low prices online. 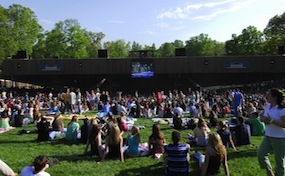 To purchase tickets to any Merriweather Post Pavilion events at anytime simply click on the show you wish to attend or call our operators that are standing by.